Kromeda works in the automotive industry as supplier of affordable and updated data which came directly from the OES constructor cases. Data are drawn up and integrated with a constant daily job. This activity allows us to reach an high affordable degree in terms of content and swiftness. Partnership with aftermarket replacement constructor allows us to improve our capability of technical-explanatory study of implemented data. Kromeda is a dynamic and young company. Thanks to a pool of engineer with a twenty years of experience in the Automotive area, Kromeda is able to satisfy world requests of repairing and replacement. Kromeda solutions are conceived for market researcher, prices or products liable, insurance groups, replacement part constructor, replacement distributor, Spare Parts, repairers, responsible for maintenance costs rental car fleets. Since 2004, Kromeda has been a company specializing in the development of “cross references” between the International Aftermarket (IAM) and Original OES (OES) spare parts and builders database (OES). He has developed extensive editorial experience in developing, extracting, and covering data. A unique know-how in Europe that differentiates it from other industry players. 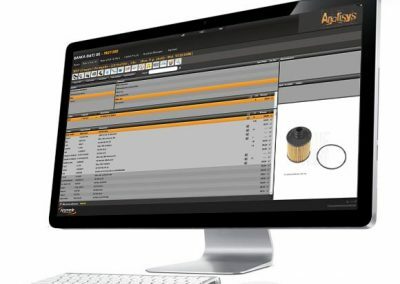 Kromeda’s consolidated editorial approach is able to provide a much higher standard than data quality, cross references, and spare parts prices. Kromeda also offers applications and platforms specific to the Aftermarket. Kromeda is part of Solera Holding, the world leader in designing software for claims management in Automotive (www.solerainc.com), which has a worldwide presence thanks to the brands: Audatex, ABZ, AUTOonline, Autosoft, Hollander, HPI, Informex, Inpart, Sidexa, IMS. 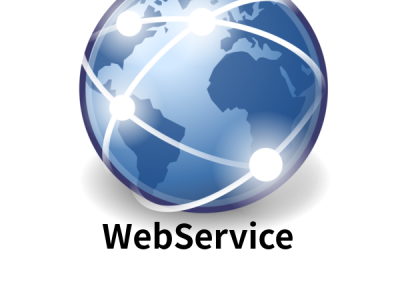 The database builders is a complete source of information from original documents in electronic format. It contains about 65,000 vehicles (cars and light trucks ) divided into: make, model , version , hp , kw , year , engine , cod . version , capacity, equipment , transmission , power , length axes , cooling . Customers can also customize the carpark to suit you . The database automakers is a complete source of information from original documents in electronic format. The data differ because the accuracy and professionalism with which they are processed by industry experts . The dictionary is divided into simple and understandable : Group Sub-Group , and Bill Voce . Each entry contains the technical specifications ( if any ) to allow customers to identify the right part with the utmost precision . The database was created by the graphic multiple requests from the world of repair and was created by graphic experts , to help its users find parts . With it you can navigate with a single click by selecting the desired parts and review both the original photo ( if any) that the code oes . The database is a database built on aftermarket parts circulating in the parallel market . It is powered from the information of the leading manufacturers of aftermarket parts . On the database are performed preventive controls with subsequent cleaning of IAM incorrect code and verifying the applicability of the part . Photos and technical notes found in the database are the property of their respective manufacturers . The database cross references is an important tool for the customer , it allows to view with a high precision the alternative replacement . 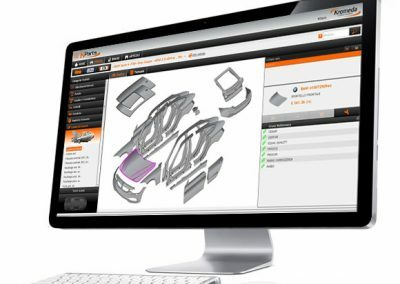 The database allows the customer to select and evaluate the purchase of parts chosen . 350 Price Lists IAM – Italy maintenance and constant update. This service gives the possibility to the customer to Receive Direct assistance on spare parts , price lists , applications , etc . Specialists from technical , through VIN and / or coding parts. Kromeda systems allow , through a special function , the search for approval / Targa and the combination of the vehicle according to the denomination produced the database which Kromeda Brand , Model , Version , Cod . Engine etc . The Partner is aware that certain results of matches because of the very nature of the source , may produce more vehicles multiple choice or vitiated by errors of association . Activated on WS , KParts , AnalisysOnline .